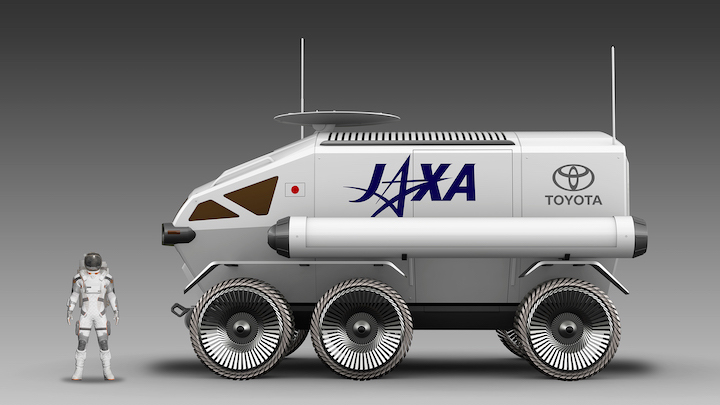 Concept proposal for the pressurized rover being studied by JAXA and Toyota. 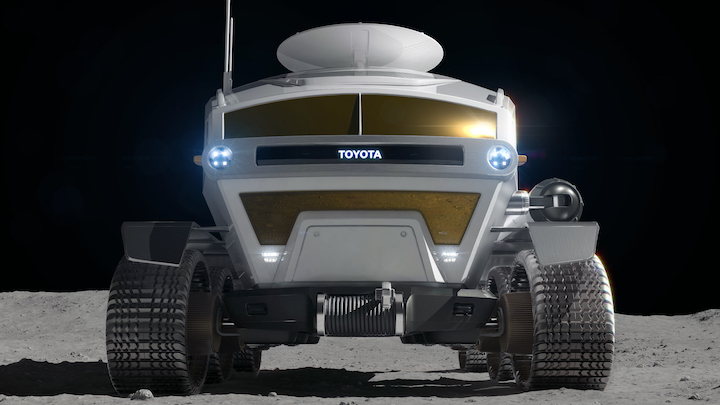 Toyota Motor Corp. is scoping out a new frontier: lunar rovers. The Japan Aerospace Exploration Agency is teaming up with the country’s largest carmaker to build a six-wheeled self-driving transporter that can carry two humans for a distance of 10,000 kilometers. They’re aiming to land a vehicle on the moon in 2029. The announcement comes less than a week after Tesla Inc. co-founder Elon Musk’s SpaceX docked a craft at the International Space Station. Toyota’s fuel-cell technology will power the rover, which will be big enough for two astronauts. 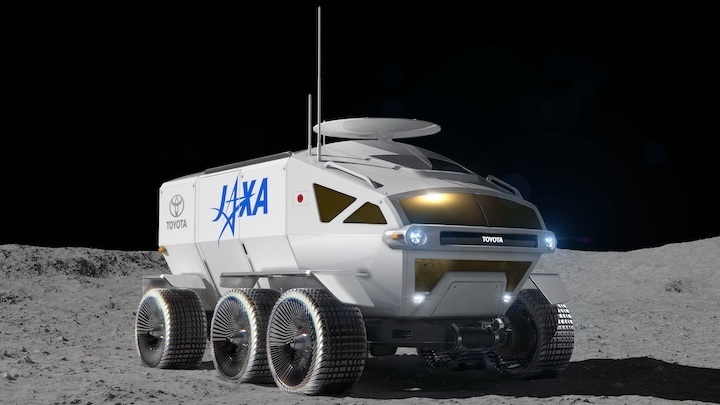 They’ll be able to take their suits off and live in the vehicle as they explore the lunar surface, said Shigeki Terashi, an executive vice president at Toyota. Toyota has for years made robots that are designed to perform tasks such as housework, and to help people who have difficulty walking. Now it’s using its technology to conquer space. Roughly the size of two mini buses, the Toyota-JAXA lunar rover will be six meters long and have 13 square meters of habitable space. The announcement comes at a time when China is ramping up it own space ambitions, thanks to an annual budget of $8 billion — second only to the U.S. Following a world-first landing on the far side of the moon in January, the world’s No. 2 economy is also making plans for a solar power station in space and a Mars probe is likely before the end of this decade. 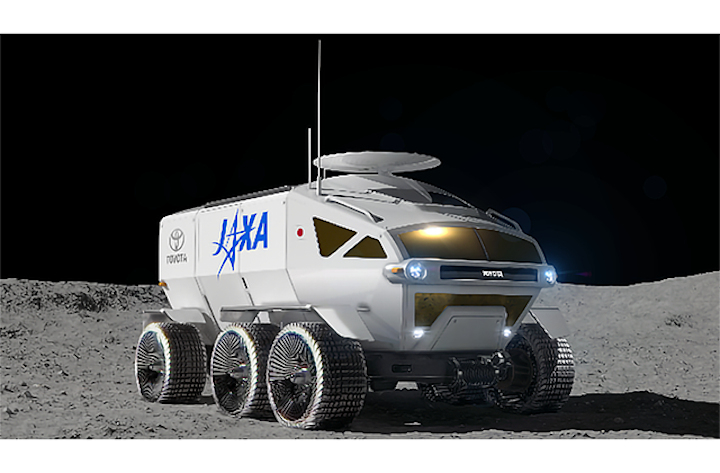 Tokyo, Japan, March 12, 2019―The Japan Aerospace Exploration Agency (JAXA) and Toyota Motor Corporation (Toyota) announce their agreement today to consider the possibility of collaborating on international space exploration. 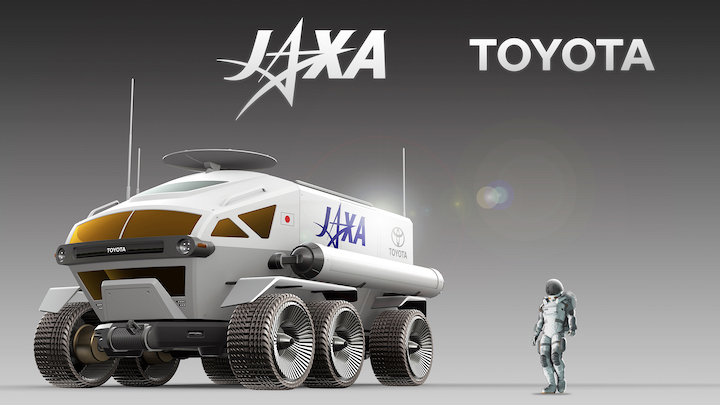 As a first step, JAXA and Toyota have reached agreement to further cooperate on and accelerate their ongoing joint study*1 of a manned, pressurized rover*2 that employs fuel cell electric vehicle technologies. Such a form of mobility is deemed necessary for human exploration activities on the lunar surface. 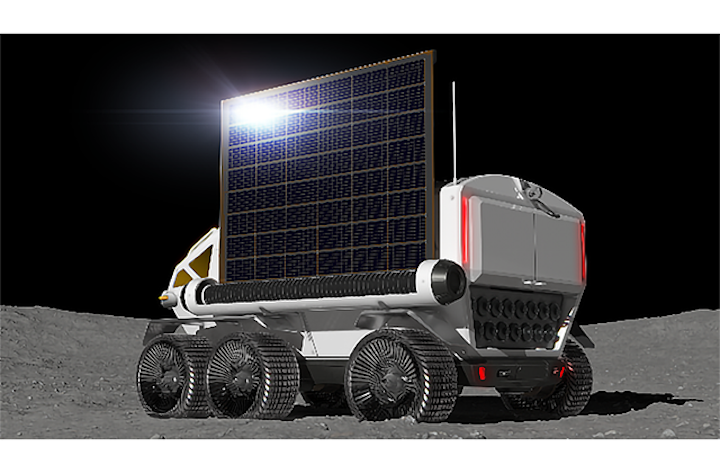 Even with the limited amount of energy that can be transported to the moon, the pressurized rover would have a total lunar-surface cruising range of more than 10,000 km.